In my senior year of high school in Detroit I joined the Naval Reserve (The Navy was a family tradition. My grandfather served in France during WWI and my uncle (My mom’s brother William served in the Pacific during WWII) were both Navy men). I spent a year going to Grosse Ile Naval Air Station for weekend training. My active duty stint was spent at Lakehurst Naval Air Station, NJ. Lakehurst is best known as the location of the crash of the Hindenburg in 1939 (and no I was not there then). While at Lakehurst I was assigned to a blimp squadron as a ground handler. A ground handler’s responsibility was to run toward the landing blimp, catch the mooring lines in the crook of his arm and run off at a right angle to the blimp and hook it to the mooring tractor (called a Mule). Eventually I learned to drive Mules and helped moor many a blimp. I had the opportunity to fly on blimps on several occasions. Knowing how to drive a Mule came in handy one winter’s night. We were hit with a very heavy snowfall. The Base Commander directed every Mule and Mule driver out to pack down the snow. Mules had tires about six feet in diameter and three foot wide. They were extremely powerful and heavy which helped them get through the snow. The Base Commander also directed the Dining Hall to stay open all night for us and for the medics to be in the Dining Hall and check us whenever we came in. We were ordered to come in every hour to warm up and get checked. That night I was pulled off my Mule when I showed signs of frostbite about three in the morning. I wanted to go back out but I was ordered to remain inside. To this day my nose, ears and fingertips are very sensitive to cold. I was released from active duty on September 30th, 1959. 1959 was a bad year for employment in Detroit. There was a big steel strike in Pittsburgh that shut down the auto plants in Detroit. After 60 days of no job, and no prospects of getting one, I joined the Air Force on January 25, 1960. My first assignment was to Keesler AFB, Mississippi. I attended Ground Radar Repair School. I failed three blocks of instructions was dismissed in December 1960. 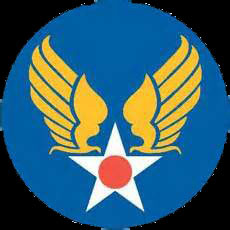 I was reassigned to Otis AFB, Massachusetts where I was a Medical Administrative Specialist. I worked in the records section, admissions and disposition office, and, for a while, as an ambulance driver in the ER and at the Fire Crash Station. I really enjoyed working in the Fire station. I made good friends and the 24-on, 24-off schedule was good. Every other week we received a “Kelly” day…an extra day off. After two years at Otis I was given the opportunity to go to Germany. I took it. On April 3rd, 1963 I arrived at Rhein-Main AB Germany, after a 33 hour flight on a propeller driven C-54 (DC-4) and was assigned to the 2nd Aeromedical Squadron, again as a Medical Administrative Specialist. I worked in the headquarters section as a clerk, moved into Security and Standardization and Evaluation. I met my future wife in October 1963. Six days later we got engaged. After reams of paperwork and numerous trips to the German authorities we were married in Neu-Isenburg city hall on July 10th 1964. We had a church wedding the next day at the Rhein-Main Chapel. In April of 1967 we left Germany for Wisconsin. I worked in the Base Hospital at Truax Field. Initially I worked in Admissions and Dispositions and then was moved into Medical Records. Truax closed December 31st and we were given an assignment to Selfridge AFB, Michigan. At Selfridge I was assigned as the Hospital Sergeant Major, the head administrative specialist. It was there I found my niche. I was quite good at organizing and really enjoyed the position. In August of 1968 my wife showed me an article in the base paper about the Air Force looking for Broadcasters. She knew I’d always wanted to get into radio and understood that I would probably go to Southeast Asia. Still, she encouraged me to go for it. I applied even though the personnel clerk said I would never be able to get out of Medical Admin. I was accepted and began school at Fort Benjamin Harrison (Indianapolis), Indiana in October. I graduated in December and received orders the end of January 1969 to Takhli, Thailand. Thirty-six hours after leaving 30 degree and snowy Detroit I arrived in Bangkok, Thailand at 8am and 105 degree heat. The temperature rose to 108 at noon. The first two weeks in Thailand was difficult because of the heat and humidity. A C-130 took me to Tahkli where I arrived at 5pm. All through school the instructors would say, “Did you get that Rogge? When you get to SEA as a station manager you’ll need to know it.” That frightened me no end. A one-year Staff Sergeant as station manager? I got off the plane and called the station. A deep voice answered “AFTN, Sgt Davis. Can I help you?” I asked “Buck Sgt?” And he said “No, Tech Sgt”. I was so relieved. I have a phobia: I hate snakes. When I got my assignment to Thailand I just knew there was a snake there with my name, rank, serial number and full description. One night I was on my way to work on the mid-shift. On the way I saw a snake lying across the sidewalk. I backed up and went around the block to work. On my way home in the morning that same snake was still lying across the sidewalk. Since it was now light I could see him if he came toward me so I ventured forward. I got about 50 feet away when I discovered it was a garden hose! I was working my normal radio mid-shift in January of 1970 when I got a call from a buddy up on the border. He told me he was broadcasting an attack live on the radio. I told him he had some great sound effects but he insisted they were real. Not 30 seconds after I hung up the Command Post called. We had color-coded alerts: White was normal, then Yellow, Red and Black. Black meant you were under attack. In my time at Tahkli I’d never seen the alert go off white. This time the CP went directly to Black. I was scared out of my wits. The station was the last building before the fence. It was just two hundred yards from the fence. The station also had a plate glass front door and no weapons. I pushed, pulled and carried anything I could find to the front door and made a barricade. Then I went into the studio and did the same thing. A few minutes later I heard tapping on the door. There was no way I was going to go out there! A few minutes later the phone rang. It was the Security Police. They said there was a cop outside and if I would open the door he’d come in and keep me company. I rushed out and opened the door. In walked “Rambo”. Bandoliers of bullets crossing his chest, grenades hanging from straps, carrying a heavy weapon and accompanied by a German Shepard. We went into the studio and sat and talked for a while. All the while the dog sat and looked at me. Actually, he stared at me. Eric, the cop, said he needed to go to the bathroom. As he left the room he told me King, the dog, was a sentry dog trained to attack without command and not to make any sudden movements, then he told King to sit and stay. I sat and looked at the dog, he sat and looked at me. Then he got up and slowly walked toward me. I was petrified. I thought he was going to attack. But he just came over and put his head on my lap. When Eric returned he was very upset at King. King was not supposed to be friendly with anyone. In fact, Eric said it took him a month of working with King to be able to get near him. And here I was with King’s head on my lap after just a few minutes. Before I left Tahkli Eric gave me a picture of King with his paw print and a lock of his hair on the back. Eric told me that when they came in off patrol he had to put a radio on King’s pen so he could listen to my voice. My biggest fan! I don’t know what happened to the picture. I wish I had it now. I got an assignment to San Vito, Italy in January of 1970. I wasn’t supposed to leave Tahkli until April 1 but was able to get a roll back to March 1st. We left for Italy early in April arriving on Friday the Tenth. San Vito turned out to be a truly “Fun Tour”. I started as the News Director, became the Program Director and then Station Manager. The station was the primary source of communication for the military community. The station was involved in many community activities: the Fourth of July Carnival, marathons to raise money for various projects, broadcasting intramural sports and acting as conduits for messages. Because of the lack of phones we were frequently asked to announce, “Mary, John will be home late” “Harry, you forgot your wife at the commissary (True! That really happened! )” “The school busses will be late/early (as the case may be)”, etc. I was notified in April of 1971 that I was selected for promotion to Technical Sergeant. It became effective the First of June. The assignment to San Vito was a manager’s dream. The detachment commander was 1200 miles west and the squadron commander was 1000 miles north. They could not drop in unannounced. It was a Security Service base. When their inspection team came they’d stop at the station and would then leave when they found out we were USAFE. When USAFE came in they would think we were Security Service and leave. In five years there I was never inspected by either one. It was at San Vito that I won a Billboard Magazine award. I promised my morning man the day off on Memorial Day and decided I would fill in. The Friday before the show Duke Ellington died. I decided to do a little tribute to him. I found that we had so much music by him I could have gone hours. I narrowed it down to two hours worth and gathered written material for the show. I taped the show as an air check and received such overwhelming response that we re-aired it the following Saturday night. I thought if it was that good maybe I should submit it to Billboard Magazine. I was named Military Air Personality 1974. It was actually a special award as they named two of us that year (the only time they did so). Mine was engraved ‘for his special on Duke Ellington”. It is my proudest possession. We liked San Vito so much we stayed five and a half years…and wanted to stay longer but the Air Force had other plans for me: Johnston Island. They dragged me out kicking and screaming. It’s funny…. the Air Force doesn’t pay attention to temper tantrums!